Hello. 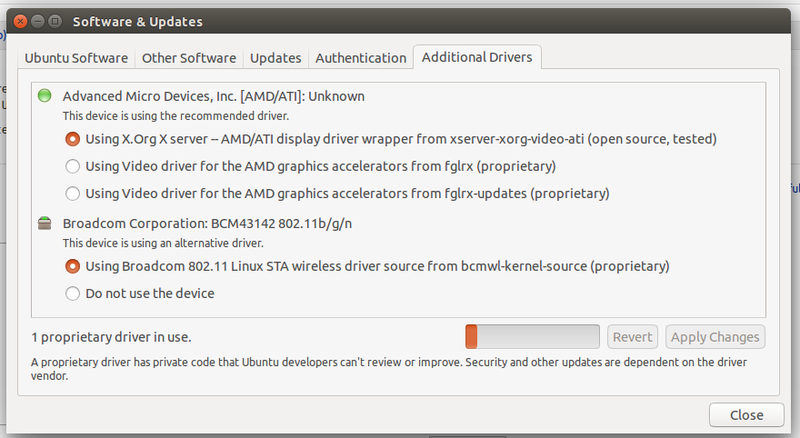 I can't select and save the proprietary drivers in the "Software and Updates" in the "Additional Drivers" section. It allows me to select using a proprietary driver, but when I click "Apply Changes," it jumps right back to the X Org X server option.